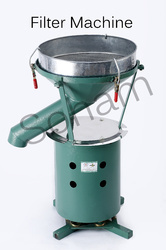 Filter Time: 50 Kilogram Raw Powder With in 10 Min..
Production Capacity: 35-65 kg. /8 Hr. Looking for Powder Filter Machine ?